Savant designs, develops and manufactures a complete suite of integrated solutions that has defined the modern age of control, automation and entertainment. These products deliver an array of applications and services including home control, multi-room audio and video, advanced digital audio and video processing, extremely flexible and scalable audio/video switching, intelligent lighting and climate control, digital media server and jukebox capabilities, telephony and intercom, an array of integrated applications and services and much more. Savant’s Apple-based smart home technologies are designed to deliver an unprecedented level of efficiency and simplicity when it comes to home automation control, providing each user with a custom smart home system. From simple media room control to a fully integrated whole-house audio, video and automation system, or even non-invasive retrofit solutions with very little wiring — Savant can meet the demands of any installation. Savant Mobile is a remote access feature included with the TrueControl App, providing you with full two-way control of all the features and services within your Smart Home from anywhere in the world (Wi-Fi, 3G data connection). Savant’s groundbreaking home automation control solutions are designed to bring together all of the smart home technologies, media content, and internet connectivity that, when working in concert, result in an efficient and comfortable lifestyle. 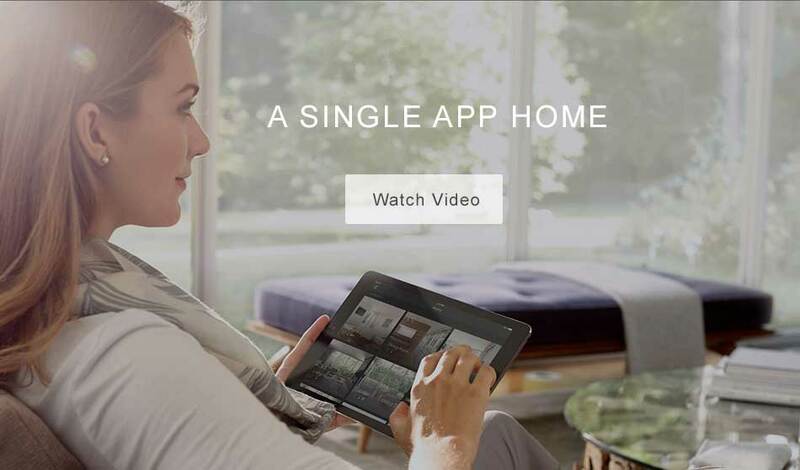 At Savant, we merge all of this exciting smart home control functionality and place it at your fingertips through sleek and intuitive user interfaces that are already a part of everyday life for many people—Apple’s iPad, iPhone, and iPod touch. Savant’s full line of designer interfaces deliver simple one-touch control of any device connected to a Savant system. Through pioneering and award-winning software apps, remotes, keypads, touch screen devices and intelligent On-TV menu navigation, Savant provides residential and commercial users complete two-way control of lighting, climate, security, audio/video components, digital media and other intelligent sub-systems or technologies. Apple’s renowned operating system, OS X, has been the driving force behind every Savant SmartSystem shipped since they first opened thier doors. While other competing control companies claim to offer tight interoperability with Apple products, Savant goes beyond just integration. Savant provides a complete home and commercial control, automation and entertainment product line built on an Apple platform, providing users with an unmatched level of responsiveness and a rich line of customizable iOS user interface options. At the heart of every residential or commercial installation is a conveniently enclosed Apple Mac mini, the Savant Host Controller. This racked device, which hosts Savant’s proprietary configuration and control software RacePoint Blueprint, provides numerous functions including powerful automation and control, user interface interpretations, system administration, monitoring and more. 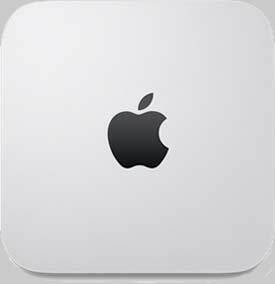 The Mac mini directly communicates with Savant’s entire line of touch panels, remotes, keypads, mobile devices, and on-screen display navigation utilizing award-winning applications and technology such as TrueControl, TrueImage and TrueCommand. Savant puts you in complete command of virtually any appliance, device or technology in your home. And you can retain the same level of control from a half-a-world away using your iPad, iPhone or iPod touch. Enjoy the ultimate convenience of a custom-tailored Smart Home that easily connects to and manages multiple intelligent control services and devices simultaneously, effortlessly synchronizing countless commands to suit each household member’s smart home control preferences. From smooth jazz to heavy metal, Savant's multi-room audio solutions provide easy access and distribution to vast libraries of media from any room in the house. Now everyone can enjoy a personalized environment filled with his or her favorite mood enhancing music. Whether you are having a house party or quietly relaxing by the pool, create the ambiance you desire by playing independent audio streams from multiple formats and sources to set the mood or enhance your surroundings with the sounds you love. 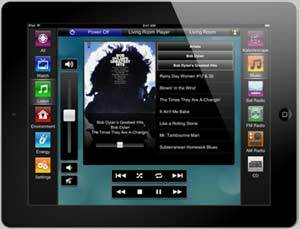 Any iPhone or iPod touch becomes an active media player within your smart home’s whole house audio system. Media content loaded on each device can be distributed to any room. Savant’s whole-house audio systems can satisfy the discerning ear of any astute or casual listener. Savant's home automation technology enables homeowners to monitor heating and cooling systems with total control of thermostats, window shades and draperies. Command your climate: Set a comfortable temperature setting in a specific room or the entire house using smart control systems. Remotely monitor and adjust climate status throughout the house while away from home using an iPhone or iPod touch for easy smart home automation. From a streamlined media room, to a full-blown luxury home theater, Savant can deliver a rich and dynamic viewing and listening experience while also maintaining uninterrupted access to critical whole house technologies. Home theater control made easy — with a push of a button from a docked iPad®, your home theater can be automated to cue up your favorite movie, dim lights, close shades, set a predetermined temperature…even start popping the popcorn! With a fully integrated home theater control system from Savant, convert the family media room or professionally designed home theater into the ultimate viewing experience. Savant provides one-touch access to numerous intelligent lighting schemes tailored to any lifestyle. As an example, one simple tap on your iPad or iPod touch remote can activate your exterior floodlights and turn off all interior lighting for nighttime security and energy efficiency. With one touch initiate a "Goodnight" scene to deactivate all interior lights as exterior floodlighting is turned on. Remotely monitor and adjust home lighting control status throughout the house while away from home using your iPhone® or iPod touch®. All brand names, product names and trademarks are property of their respective owners.